I hadn't seen one of these for a long time, so when one came up on eBay I had to try and grab it, and I did, of course. 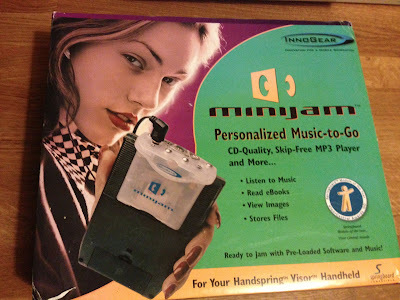 In fact, the whole package came with another Visor and other bits too. How cool is that. As TrakAx have announced that they are coming to Android soon I remembered these two videos I made using TrakAx on my old Dell Axim. I must find out if the app is still on there or not. I must get around to seeing if I can find someone who can fix it for me. 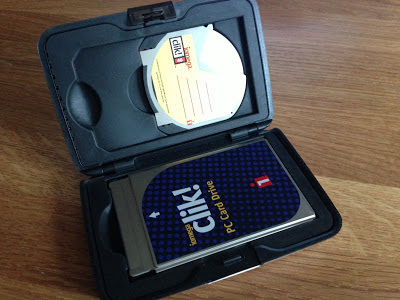 I was looking at my old Clie the other day and wondering what to do with it and it reminded me of this app/applet that ran in the flash player. How things have changed. 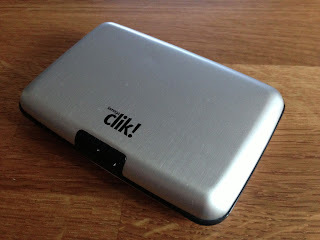 To the best of my knowledge the Sony Clie series, or at least a few of them, were the only Palm OS based PDAs to have the flash player although you could hack it on to other PDAs. When I think of Palm OS I think of Bhajis Loops. It was and still is one of the best music making apps on a mobile device ever I think. Whilst iOS is now king of the mobile music world, Bhajis is still the grandfather of it all. So I thought I'd mention it again and remind you that both Bhajis Loops and Microbe are still completely free although you can't use either of these on iOS (there is an emulator for jailbroken devices) you'd have to invest a modest sum in an old Pam Tungsten T3 from eBay or a Palm Tungsten TX . Well worth it in my opinion! Of course I secretly (although not so secretly now as I'm about to tell you all) still hold out the tiniest of hopes that Bhajis will somehow come to iOS, or even Android! But of course this won't happen. So I thought I'd post this as it was on my mind (mainly as I had some onion bhajis the other day actually) and I wanted to remind you about these awesome apps. I posted this at Palm Sounds, but I thought I'd just post a link to it from here as well. If you're interested in the history of Palm OS then you should consider getting this. Why does a Fossil cost more than a Pebble? 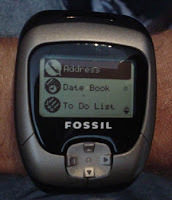 I wrote a post a while ago about the old Fossil watches that ran on Palm OS. I even had one, but as it was so huge and just looked stupid on me I sold it off. In case you're wondering what I'm talking about this is what they looked like. 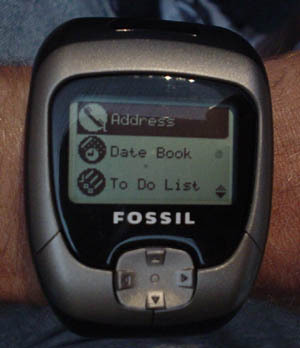 Then I realised today that a Fossil watch (Fossil PDA Watches on eBay ) costs more know than a brand new Pebble watch! Which I think will be a little bit more functionally rich than the somewhat older Fossil (they gave it the right name!). 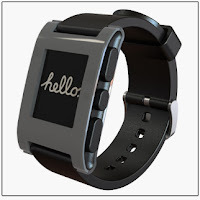 I thought of it as I'm awaiting my Pebble watch, which is only about 5 months late I guess, but never mind! Perhaps I should've paid more and put a Fossil on my wrist! I used to have one of these ages ago, and I've just got another for the libretto. They didn't seem to take off really, and I suppose that the days of memory sticks really overtook innovation like this. Still, you can still get these on eBay for a few quid and as a storage and back up solution for a little old laptop like the libretto, they're brilliant. A bit more fun controlling Magellan from the old Palm OS.